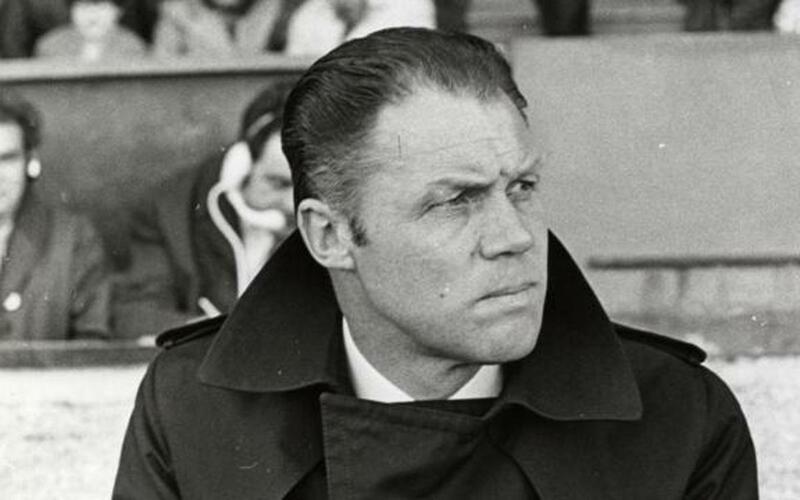 In his first season, his only success was the winning of the great final of the Fairs Cup, which Barça won after beating Leeds United in a one off final at Camp Nou. In the league, an unexpected defeat against Cordoba in the penultimate game of the season meant that they lost the title. The following season ended trophyless depsite the team's best efforts. The Barça supporters had to wait until the arrival of Johan Cruyff in the summer of 1973 to see the League Championship title won after a drought of 14 seasons. With him in the side, Michels's game plan had no holes in it and worked to perfection. The 1974-75 season saw a return to a stream of bad results and an absence of trophies. It was then that Marinus Michels decided to put an end to his first period at Barça. He was soon to return, however, and was back on the bench at Camp Nou for the 1976-77 season. His stay at Barça ended in the 1977-78 season, when he won his third trophy with the Club, the Copa del Rey.